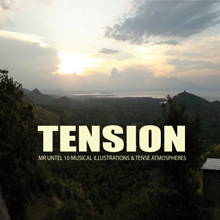 Tension is a 10 titles collection designed for illustration of scenes where the physical and psychological tension is palpable. The themes are both “up tempo” and “hybrids” as natural and noble analog sounds like a section of strings blended with last generation digital instruments and “Epic” effects. This album support most often Cinema and Documentary sync in general Sport sequences as well. Ask for your free promo pack now.